Many of you already know that Microsoft is going to dump its current Edge browser and switch to a Chromium-based version. And if you didn’t already know it, well you sure know it now. Microsoft is subscribing to the old philosophy of “If you can’t beat ’em, join ’em” as they throw in the towel on trying to develop a browser that can compete with Chrome. 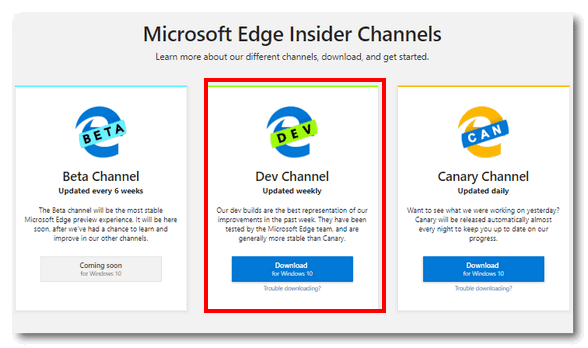 If you’re an intermediate or an advanced user – or a brave beginner, you can download, install and test the new Chromium-based MS Edge right now. Keep in mind this is test software and some features may not be ready for prime time. 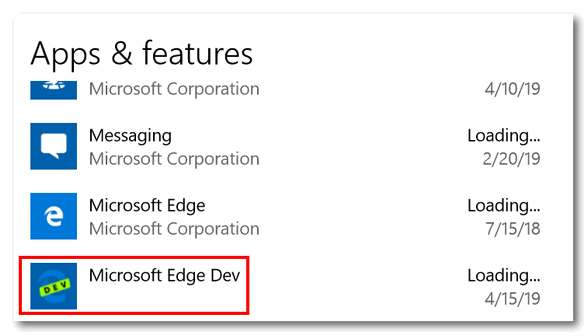 In our tests, the new Edge seems a lot faster and more intuitive than the old MS Edge and we had no problems using it. 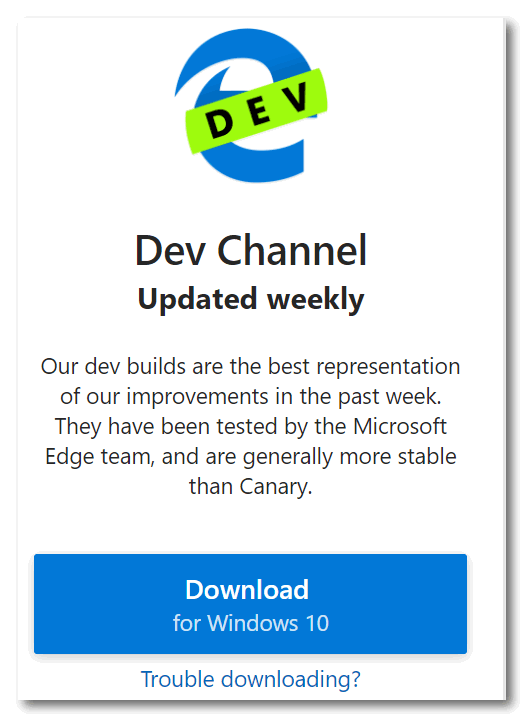 If you do decide to try the new Chromium-based Edge, it will not remove the current version of Edge on Windows 10 – so basically installing the test version of the Chromium-based Edge is just like installing any other browser. You can download the beta (Insider) version of the Chromium-based Edge here. Before you go off to download though, you should be aware that there are currently two choices. We strongly recommend you download the Dev Channel version. It’s updated weekly – that should be plenty unless you have a compulsion to be on the cutting edge. The Canary Channel versions updates daily. Plus the Dev Channel version is more stable. Downloading and installing is pretty much mundane. You’ve seen this kind of installation many times. Once you’ve downloaded and installed it, you may be interested in some additional information provided by Microsoft. If you are, take a look at this page. Oh and one more thing. Since the Chromium-based version of Edge is built on the same platform as Chrome, you can use Chrome extensions in it – but only if you do this. In the Chromium-based version of Edge, click on the three horizontal dots in the top right corner. Then click “Extensions” in the dropdown menu. 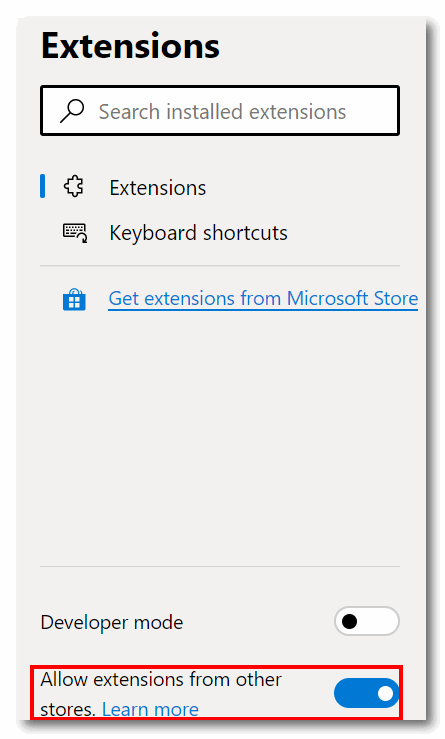 At the bottom of the Extensions dialog, turn on the switch next to “Allow extensions from other stores”. And once you turn that switch on, you can download and install any Chrome extension from the Chrome web store just as easily as you can add extensions to Chrome. Have fun testing what hopefully will be the best Microsoft browser ever. Imitation is the sincerest form of flattery! The problem I have is that it wouldn’t bring my free Dashlane account extension over. It only brought the fee based on over and stated that the free one had expired. I can’t use the browser without Dashlane. This is beta software Ron, not the finished product. It’s not ready for Primetime. We tried several extensions from the Google Chrome web store and they worked fine. The purpose of the article was to point out that people could test it now, not replace their current browser with it now. I tried to point this out in the article that this was not a finished product yet.